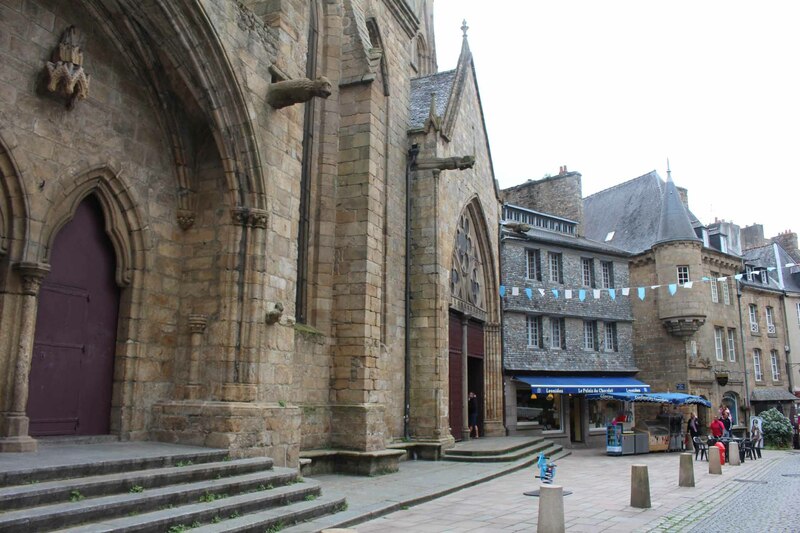 The basilica Notre-Dame-de-Bon-Secours and the Grande rue of Guingamp. The church is Gothic on the left side, and Renaissance on the right side. Inside, the large number of pillars surprises.